Det er tid for en ny utfordring hos Stamp with fun og denne uken har vi en skisse. Her er mitt kort laget etter ukens skisse. Hello and happy Monday to you. It`s time for a new challenge at Stamp with fun and this time we have a sketch for you. Here is my card for this weeks sketch. Nydelig guttekort i flotte farger. Så flott med den borden. 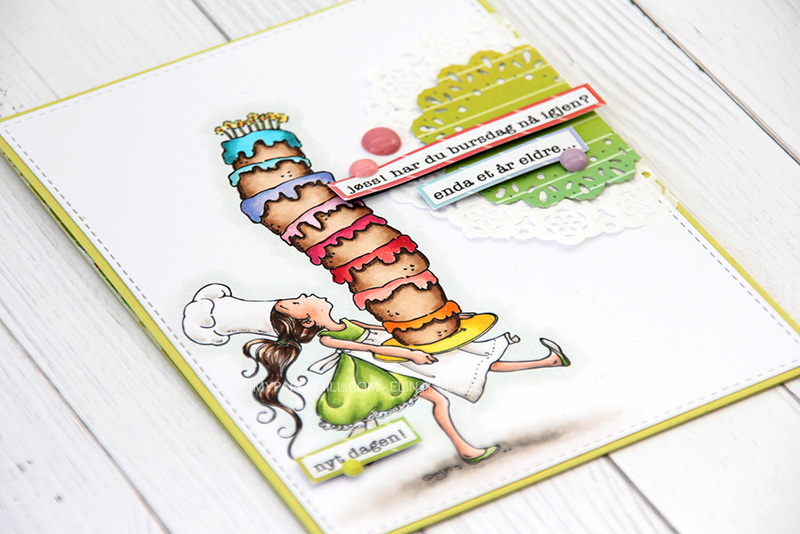 This is a cute colored card Marita for a 7-year old boy and the charm fits PERFECTLY. Nydelig guttekort så flott farga den fine gutten,likte så godt opphenge av charmsen og borden. This is so endearing Marita. Great boy card and lovely charm. Lovely male card and such superb colouring! One fabulous card with some great embellies! adorable charms! Thank you so much for entering our challenge at Allsorts with this lovely creation! Beautiful boys card love the metal charms.